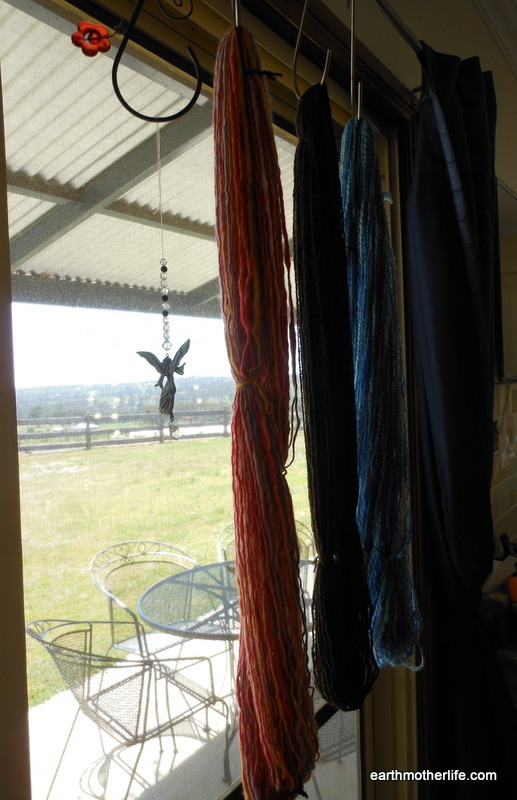 The nesting magpies were eyeing off my yarns which had been hung outside to dry after spinning and finishing, so to be safe I brought them back inside. 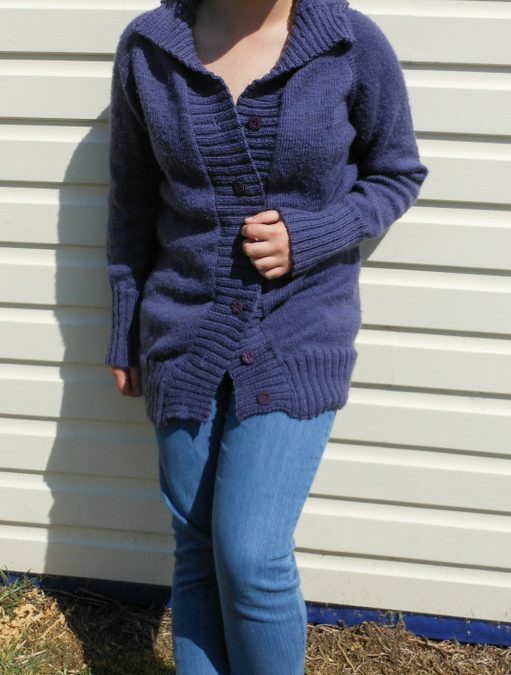 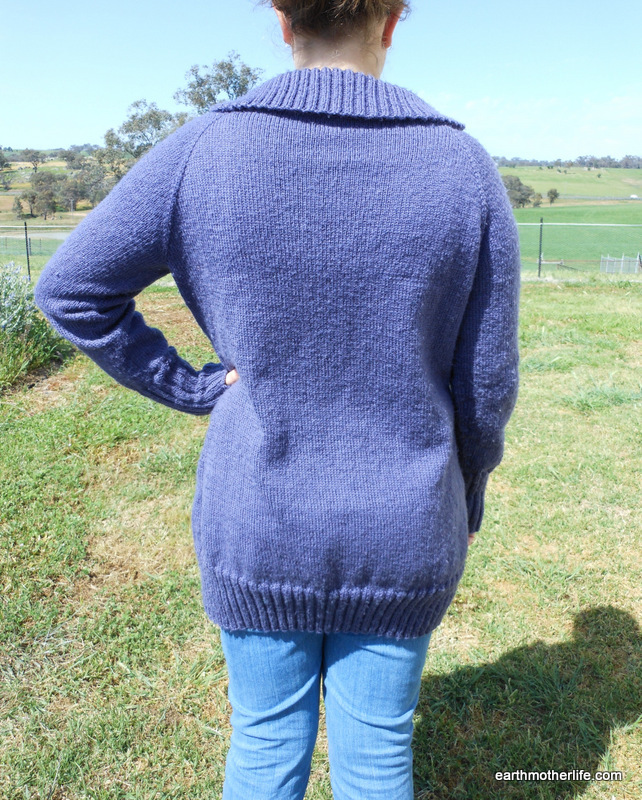 Finally finished knitting my version of the Calligraphy cardigan in Bendigo luxury 8 ply, just in time for the heat of summer. 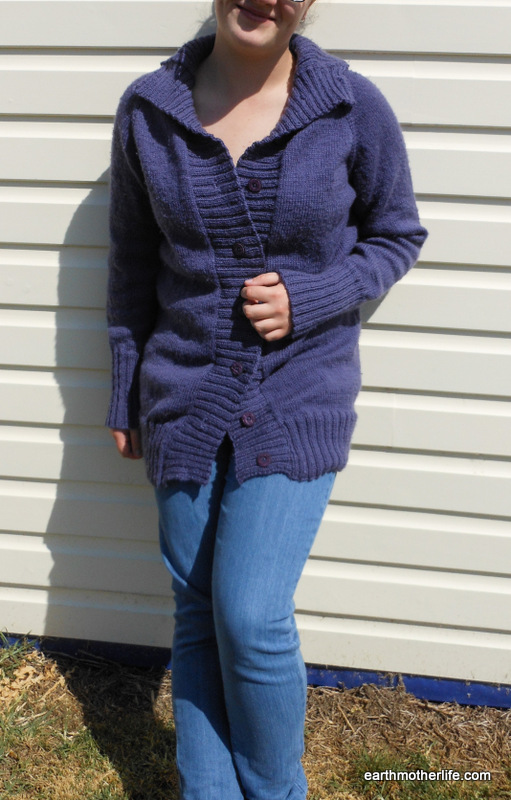 It’s too large for my daughter who is modelling it, but it should be cosy for next winter.